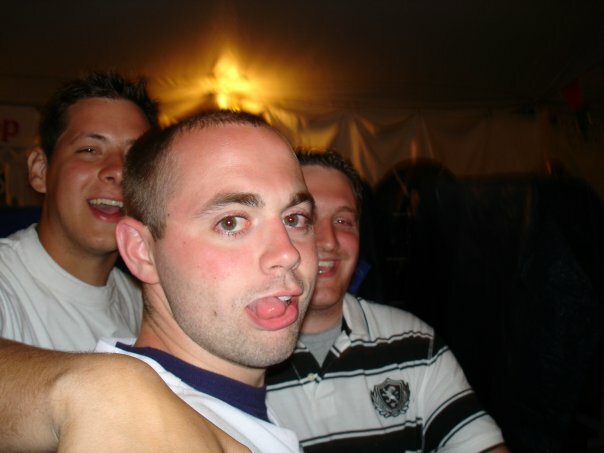 John (in the striped polo) and the friend in question (foreground), taken six years ago, as proof of their on-going friendship. 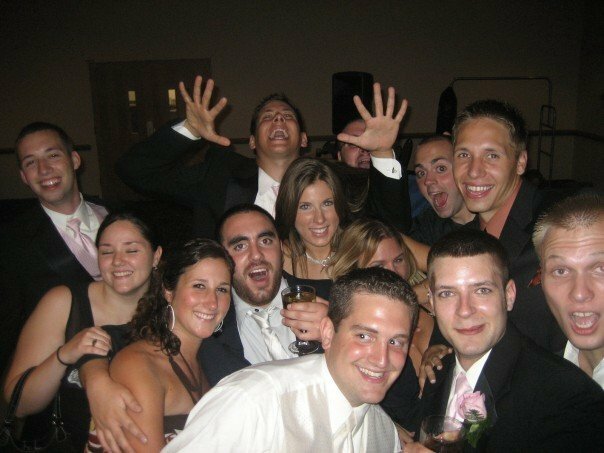 A picture from John and Lindsay's wedding, as evidence of John's friend's attendance. 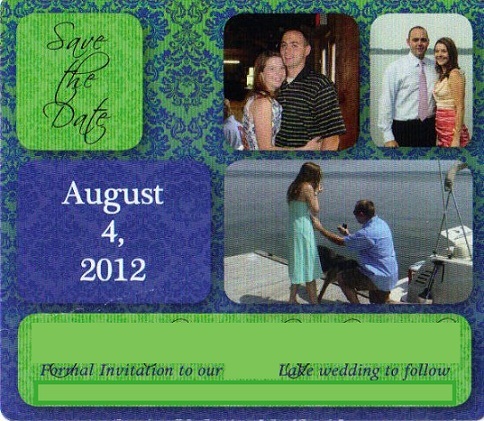 The 'Save The Date' for John's friend's wedding. Lindsay and her bridesmaids (cousin Shannon included) at her rehearsal dinner. 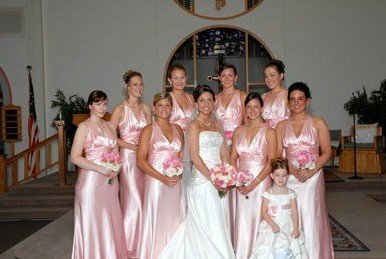 A formal photo of Lindsay's wedding party. This is the first time I have disagreed with the Judge. I don't think cousin should automatically trump friend or friend trump cousin. I think it all comes down to the fact that they AGREED to attend the friend wedding first. Any other wedding that came up after that should have received a polite, "Sorry, we already have a commitment for that day." If the wife wanted to back out and take her children to the cousin-wedding, and the hubby had no problem with it, then so be it. Fwiw? What Judge Hodgman said much more kindly and obliquely than I would have is that the husband is still partially back in Bro Mode, where your primary attachment is to your male cohort, and that the wife is shaming and scolding the husband into behaving as if he isn't. Takes time sometimes for the man to move into the husband role, and brow-beating him doesn't help because that has to follow from internal change, not because he feels guilty because his wife is displeased. Adults don't do things because they are scolded into them, but because they see where their duty lies. Maybe he won't ever grow up, but she might want to lay off a little and give him time to catch up. Otherwise she is fueling resentment and her role as frowning parent. Lindsay never would have acceoted the judge's decision if it had gone in John's favor. The reference was to Fargo, I just hope this is where I'm supposed to comment.